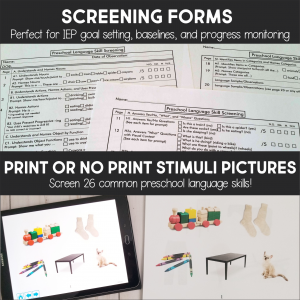 Posts Tagged "preschool language delay"
HomePosts Tagged "preschool language delay"
Teaching pronouns to children with autism or language delays can be so tricky! 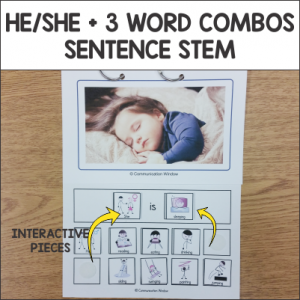 Learning to correctly use “he” and “she” and especially “my” and “your” can take lots of repetitions and practice for our little ones! Here are some of my favorite ideas for teaching pronouns in speech therapy sessions in an interactive and fun way (no flash cards!). 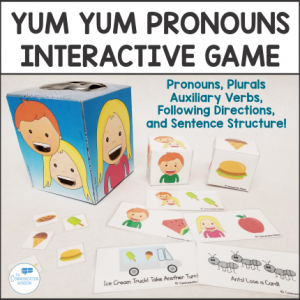 My number one requested game by my students for teaching the pronouns is this Yum Yum Pronouns Interactive Game. Kids love feeding the kids food and get tons of practice with “he”, “she” and “they”. 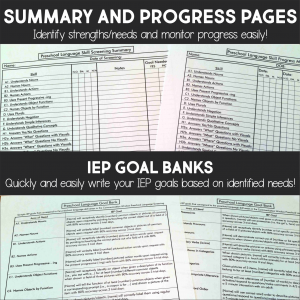 I don’t mind pulling it out frequently because it’s also great for speech therapy groups with mixed goals. 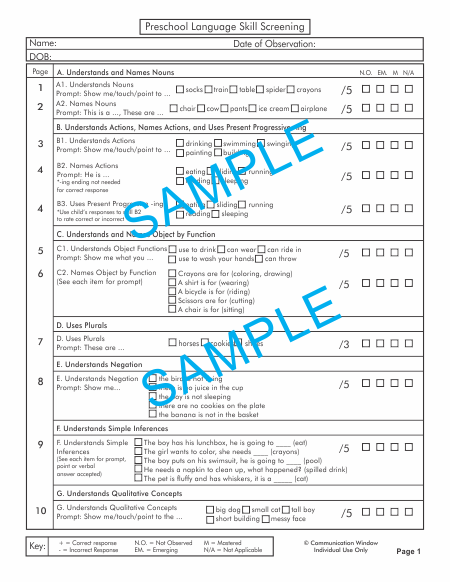 I can target plurals, verbs, sentence structure, expanding utterances, and more with it! Another activity that is constantly out on my therapy table are Interactive Sentence Flips for targeting pronouns. 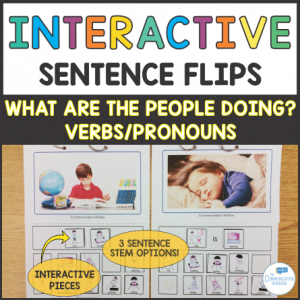 The one I use most frequently is Pronouns and Verbs Interactive Sentence Flips – People Actions. 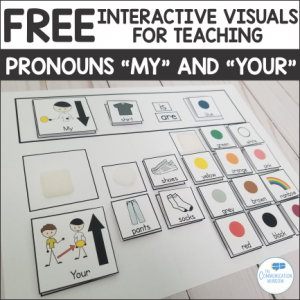 These are super effective at teaching pronouns because the child moves an interactive visual cue to make the correct sentence for each picture cue. This helps demonstrate the need to change the pronoun to make a sentence that makes sense for each picture of the people. I think teaching the pronouns “my” and “your” is the trickiest of all! 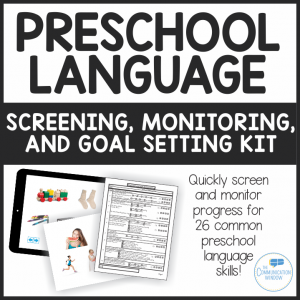 These are so confusing to our little ones with language delays! 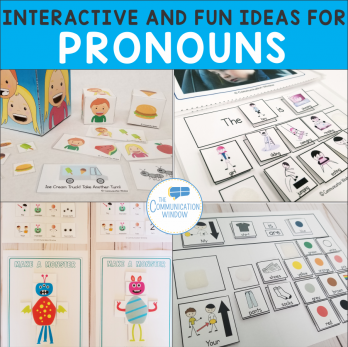 One fun way I have worked on my/your is using this Make a Monster Game for Pronouns, Attributes, Following Directions, and Giving Directions. 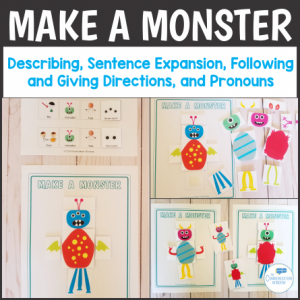 The Make a Monster pack has pieces for creating different monsters and sentence stems with visual cues for practicing describing the monsters using “My” and “Your”.